Food was great, staff was amazing, room was very clean, and it was quiet. The staff helped me book my trips. Where to find Tananger hotels near an airport? Where can I find hotels in Tananger that are near tourist attractions? 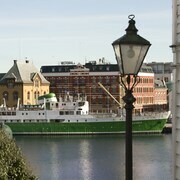 Are you vacationing in Stavanger and are after somewhere to stay in Tananger? About 7 hotels lie within 0.1 kilometres (0.06 miles) of Tananger's center. The Tananger Leilighetshotell is one of the most convenient options because it is one of a small number of options within a comfortable stroll of the Tananger center. 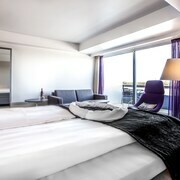 The Scandic Stavanger Forus is located 9 kilometres (6 miles) away from the center of Tananger. Another alternative is the Quality Hotel Residence, which is positioned 12 kilometres (8 miles) away. 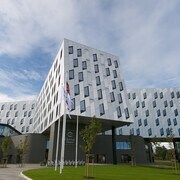 Two more places to stay are the GamlaVærket Gjæstgiveri og Tracteringssted and the Clarion Hotel Stavanger. Once you have seen the sights in Tananger, ensure you allow time check out the other great attractions Fjord Norway has to offer. 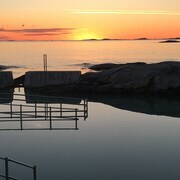 Investigate Fjord Norway's traditional villages or admire the region's beaches. Tourists in this section of Norway can enjoy snowboarding, skiing and cross-country skiing. Sola is 12 kilometres (7 miles) to the southeast of Tananger. While here, take the time to enjoy the Kvadrat Shopping Center. Sandnes has a range of good places to spend the night. While exploring this region, you can also visit Sola, where you can explore the Sola Golf Club. Sola is 4 kilometres (3 miles) to the south of Tananger. 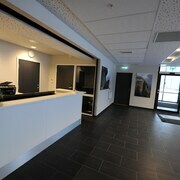 The Scandic Stavanger Airport and Quality Airport Hotel Stavanger are comfortable places to stay. If sport is your passion, take the time to visit Viking Stadium, which is 8 kilometres (5 miles) to the east of Tananger. Stay right near the action at the Scandic Forum or the St Svithun Hotel. Located 6 kilometres (4 miles) from Tananger is Sola Airport. Stay nearby at Tananger Leilighetshotell or Clarion Hotel Air. What are the most popular Tananger hotels? Are there hotels in other cities near Tananger? What other types of accommodations are available in Tananger? Explore Tananger with Expedia.ca’s Travel Guides to find the best flights, cars, holiday packages and more!